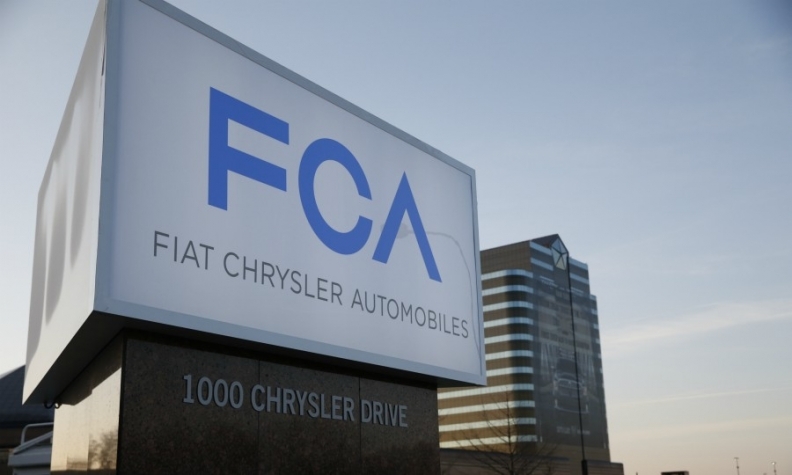 NEW YORK/MILAN -- Fiat Chrysler Automobiles NV plunged as much as 12 percent on a weaker-than-expected outlook and disappointing results in its North American stronghold, as CEO Mike Manley struggles to gain traction seven months into the job. Manley, 54, is battling issues left over from the Marchionne reign, as well as new ones that have emerged on his watch. The Chinese market weakened substantially in the second half of the year, and investors were especially dismayed that earnings in North America missed estimates in the fourth quarter. The region is supposed to be Fiat Chrysler's armor against weakening markets abroad, but the miss on operating profit shook analysts' confidence that management has expenses under control. "Industrial costs haven't declined as he said they would," Demian Flowers, an analyst with Commerzbank, said in an email. "It doesn't fill you with confidence that they will come in and say, 'Hey, don't worry, it's still fading, it's just happening a bit later.'" "It was galling because they had talked about the third quarter margin level -- 'We don't see why this wouldn't be sustainable,'" Flowers said. The profit target for 2019 excludes the Magneti Marelli unit that's being sold, but even so it's far weaker than expected, he said. North America, which provides the bulk of Fiat Chrysler's profit, posted adjusted Ebit margin equaling 8.6 percent of sales in 2018, up from 7.9 percent a year ago. Overall, profit margins are expected to stay steady at 6.1 percent of sales this year. Under Marchionne, who died on July 25, Fiat Chrysler had difficulty establishing itself in China, the world's largest car market. The automaker tweaked its SUV lineup there to appeal to more Chinese consumers, but it has not helped as the region recorded its first annual slump in 20 years.